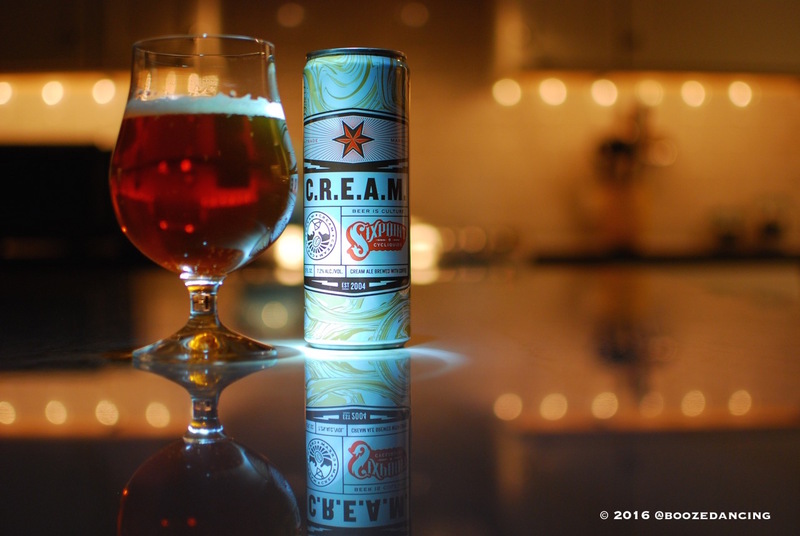 The color of Sixpoint’s C.R.E.A.M. is quite peculiar. It has an odd orangey glow to it (not to be confused with Orange Glo). Magda from There’s Something About Mary comes to mind. She was the little old lady that spent too much time at the tanning salon. But thankfully, not in a Magda kind of way. Fresh ground coffee and cane sugar lead the way. After that, it smells like a regular cream ale, i.e. malty with a hint of hops. With a malty sweetness and very little bitterness. It’s not till you approach the finish that those coffee notes kick into gear. Kick is too strong of a word. The coffee flavors in C.R.E.A.M. are more of a nudge nudge wink wink. It’s in the aftertaste where the coffee notes really shine. With a splash of cream and a teaspoon of sugar flavors. It’s subtle and highly effective.